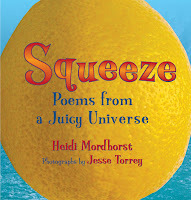 "this lively collection...blends immediate physical experience with the wonder of opposites"
Here are a few of the juicy poems in Squeeze, along with comments on why they were written and some reviews. and room to make up new words if I want to. 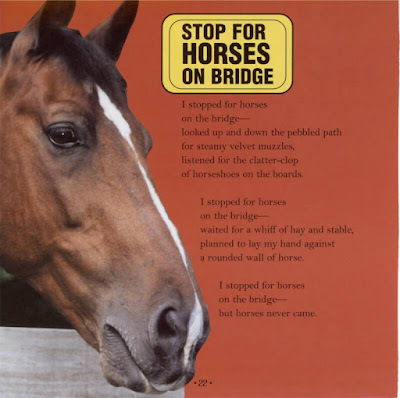 “Mordhorst's collection of 24 non-rhyming poems is a juicy treat itself, full of evocative images and insightful glimpses into childhood activities, many inspired by her own Southern childhood. She takes ordinary slice-of-life events such as a scraped knee or lying on a sandy beach and turns each into a fresh, adventurous experience that is quite out of the ordinary. In surprising twists, birds grow from birdseed, sand dunes are elephants and a rug turns into a geographic structure for toy cars. 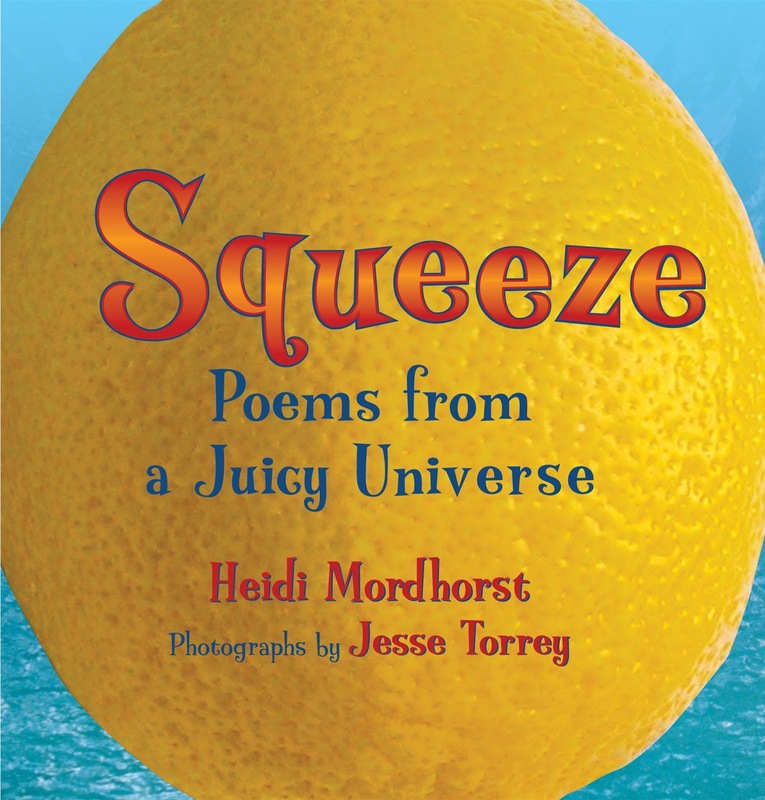 The titular poem, "Squeeze," is especially memorable, comparing a lemon in the hand to one's own little universe, sometimes sour and sometimes sweet. Torrey's photographic montages add just the right touch of sugar and spice to the collection: flowers, trees, smiling children and darker shots of the moon, a starlit sky and sparklers twinkling to illustrate a poem about brainpower. Teachers will find this a welcome classroom resource for many age groups." I noticed a sign like this one when I was out walking in Rock Creek Park. I liked the idea that stopping for horses might actually make them appear on the bridge, and it became a poem about expectation and disappointment--one of those sour mouthfuls that you get some days. Recently I noticed that this poem depends on all our senses: looking, listening, catching a whiff, the laying on of hands. Oh--but not tasting! 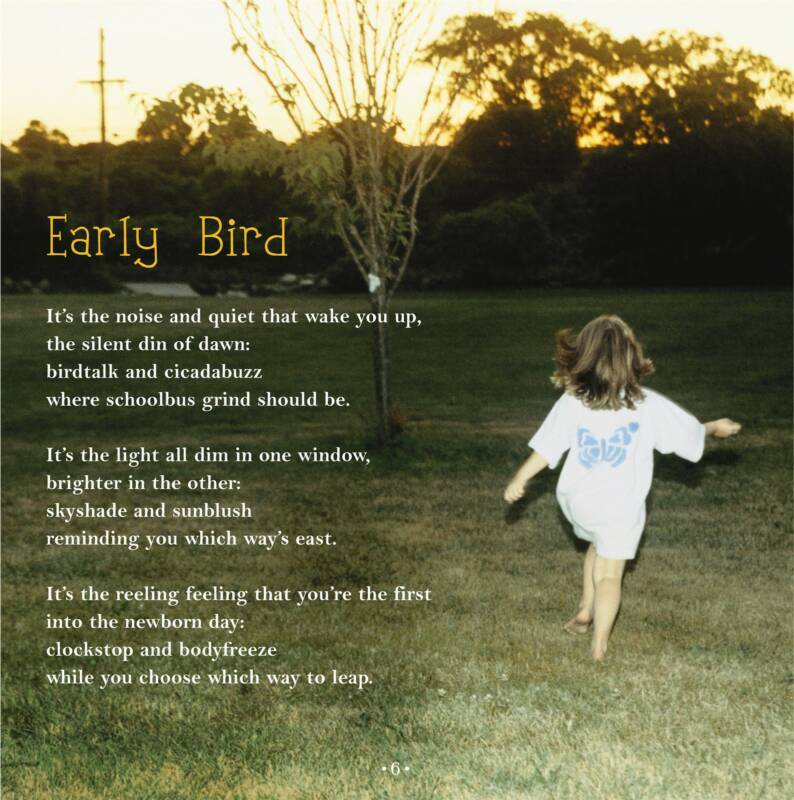 "Familiar elements of a child's world are explored in these sensitive, free-form verses. 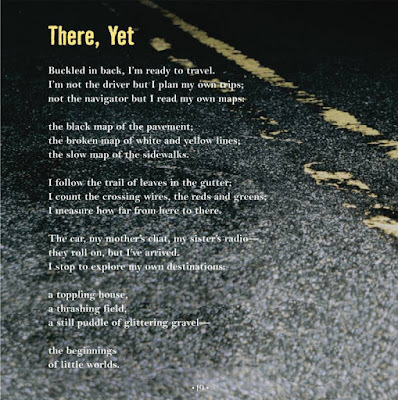 The 24 original poems capture an imaginative view of commonplace things and happenings, such as "Wherever you are/is somewhere sour or sweet-/a lemon heaven/full of juice to squeeze." The emergence of spring crocuses, a sandy beach, a honeysuckle vine, a full moon, swinging high on a swing, and riding in the backseat of a car take on new dimensions as the poet's imagination enlarges the ordinary, creating new visions and possibilities. Artistic, full-page color photos add to the attractiveness of the book." 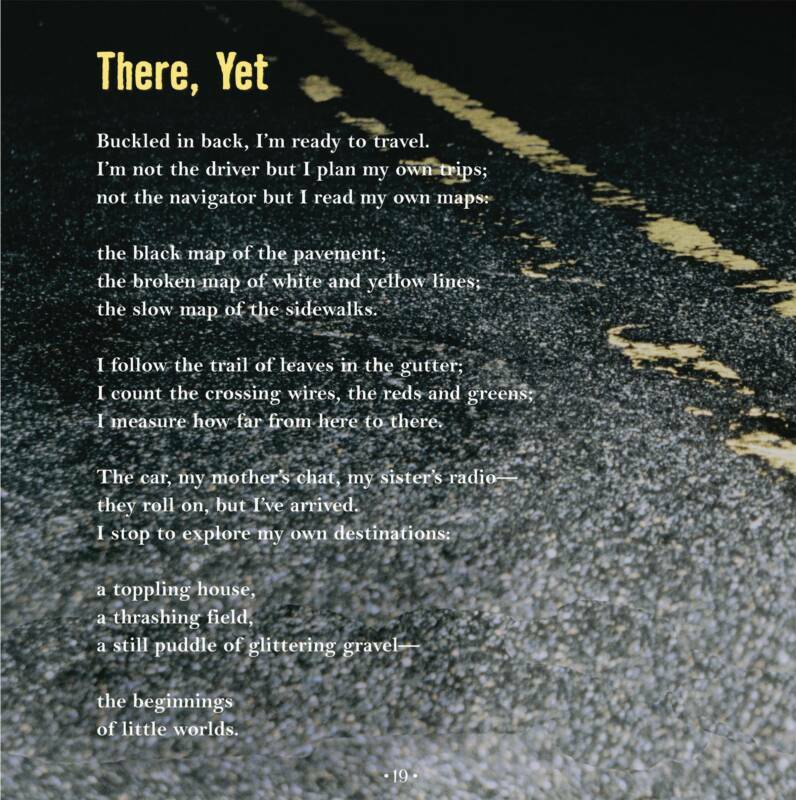 Nowadays I'm the driver of the family car most of the time, but this poem is from the time when I was always a passenger, stuck in the back seat with no control over the car or the routes we took.